Most desert Safaris happen during evening time when the rays of the sun are not very harsh. But if you want to see the desert in all its glory, morning is the best time. Our Morning Desert Safari tour is perfect for those who want to spend a peaceful time. 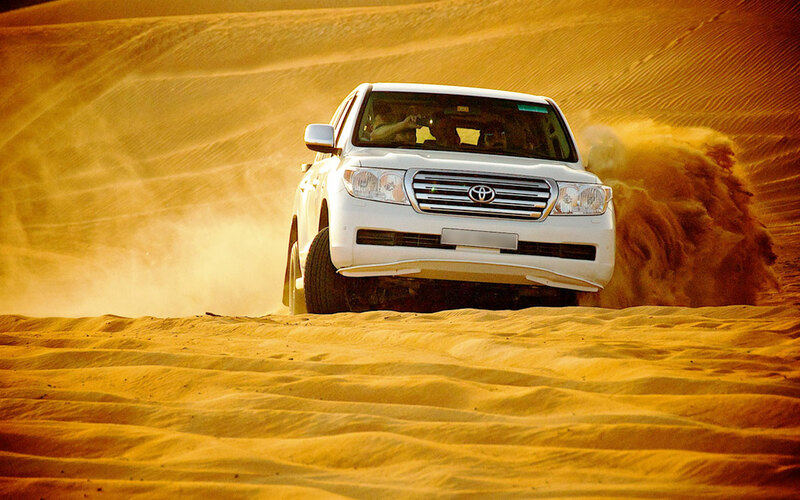 The adventurous trip begins early in morning; we pick you from your located place and take you to the Desert Safari. 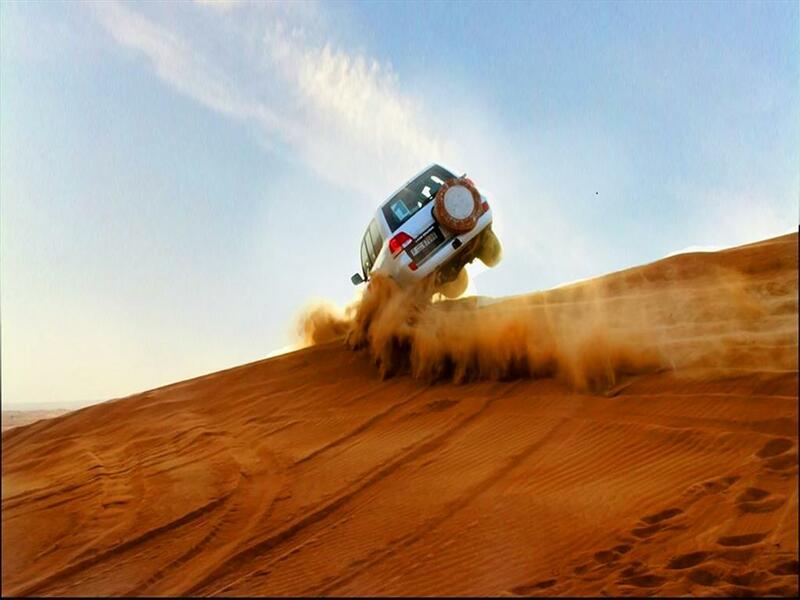 Thrill of trip starts with awe-inspiring dune bashing. 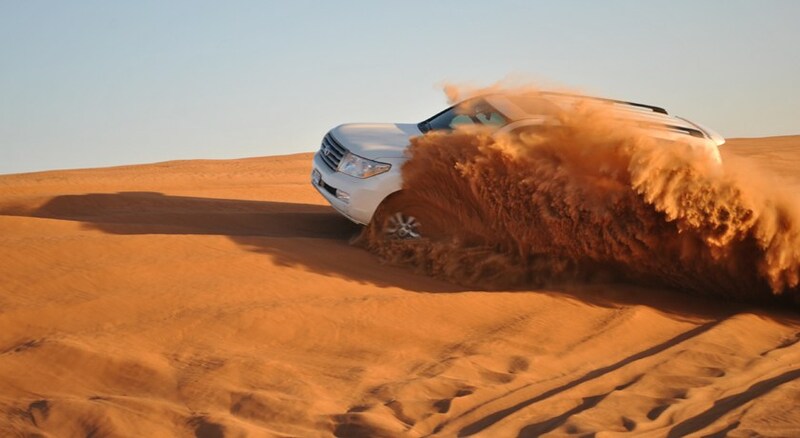 This 4 hours morning desert safari tour is purely tailored for adventure seekers who wish to experience the desert with an exhilarating 45-minute dune bashing in 4×4 Vehicle. 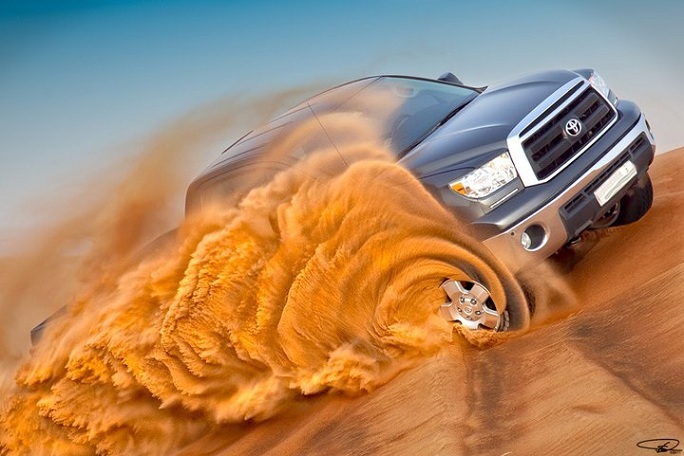 Let our highly experienced drivers take you on the paths never travelled and get you through a round of adventurous dune bashing in the Arabian Desert. After that, we will take you toward your camp where you will enjoy camel ride, and a memorable Quad biking. During trip we will serve you cold drinks and mineral water. After getting enjoyed with this trip we will drop you back at your hotel. - Transfer option is available for this Tour activity on Sharing and Private. - The Pickup will be arranged from City Center Hotels. - Pick up from Areas other than City Center will be done on request with an additional surcharge. - is not included in Morning Safari Tour. - Pregnant Women or Guests with a backache are not recommended for this activity. - The pick-up / drop off timing on sharing transfers can be modified as per the trip schedule by 30 to 60 minutes, depending on traffic conditions and your location.